Putnals Premium Pine Straw, Inc. is one of the largest suppliers of quality wholesale and bulk pine straw in the United States. Since 1971, we have been providing premium pine straw to our customers in the landscaping, nursery and other industries with the best pine straw available. We are based in Mayo, Florida in the heart of pine straw country. We partner with local landowners to harvest top-grade pine straw, hand raked, cleaned and inserted into our balers by hand to ensure the highest quality. The extra effort we put into providing a superior product and our dedication to customer service is the reason so many businesses across the United States only trust Putnals for their pine straw. As a wholesale supplier, we service many businesses in need of pine straw including landscapers, landscape supply, wholesale and retail nurseries, schools, garden centers, golf courses, apartments, condominiums, municipalities, and any other business in need of bulk pine straw. To meet the needs of our customers, we offer two bale sizes, wholesale truckload orders and pine straw delivery. In addition to our wholesale pine straw product, we also offer contract pine straw spreading for our customers. Our professional crews are efficient and meticulous, saving businesses time and money off pine straw spreading. Thank you for visiting us! 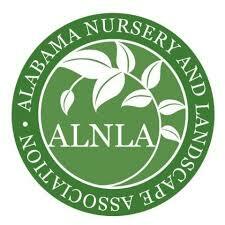 We hope we can assist you with all your quality wholesale pine straw needs. Contact us today for a quote or to schedule a delivery for your pine straw.